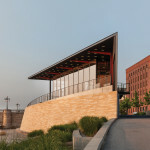 Zinc and glass unite riverfront pavilion and pump house. In 2009, just as construction on its Principal Riverwalk pavilion was about to begin—and following years of funding-related stops and starts—Des Moines-based Substance Architecture received some unexpected news. 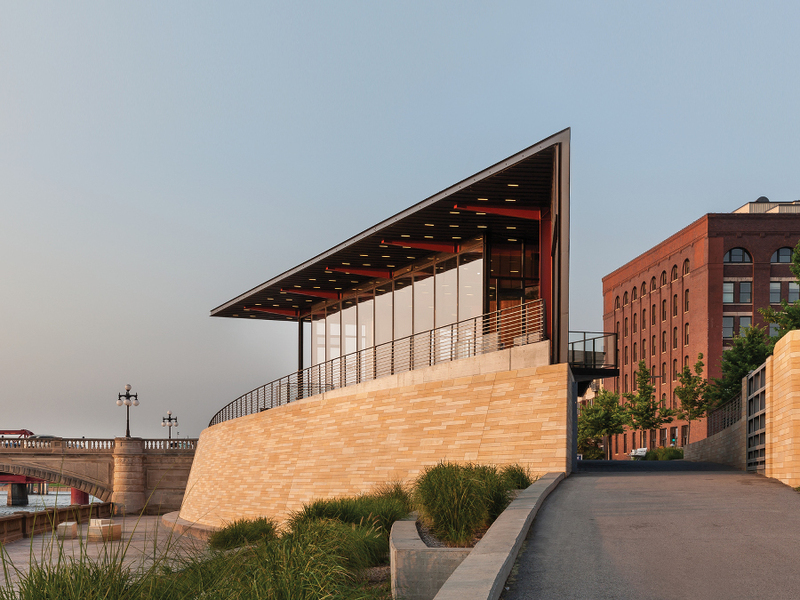 The firm was commissioned to design a second building, a pump house, on an abutting plaza. 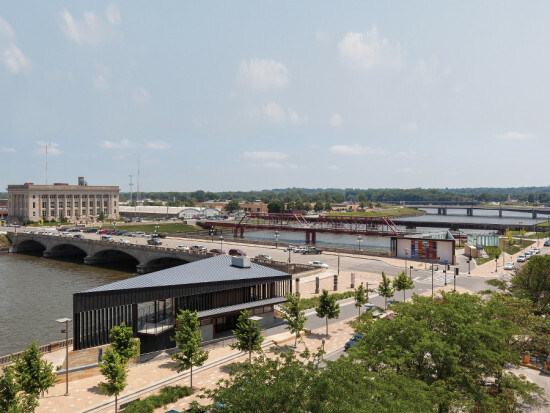 At that point, recalled Substance’s Paul Mankins, it had been about three years since the firm started work on the pavilion. 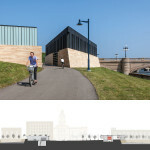 “There was some discussion in the office about whether the pump house should be an independent piece, or whether it should be formally related to the pavilion,” he said. 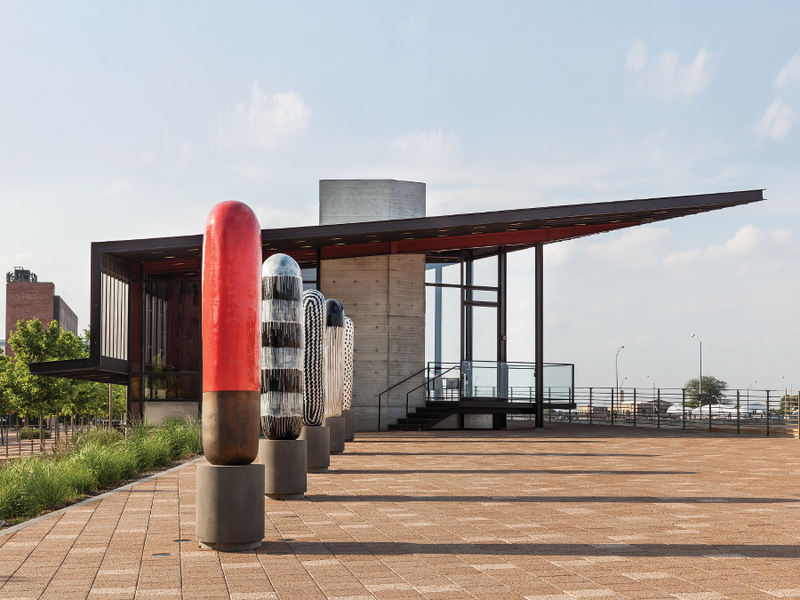 “Our decision was that the pavilion would be stronger if it had this piece as a foil.” Using a limited material palette of zinc and glass accented by Jun Kaneko‘s artwork, Substance succeeded in creating a dialogue between the two small riverfront buildings, despite their differing programs and dates of origin. 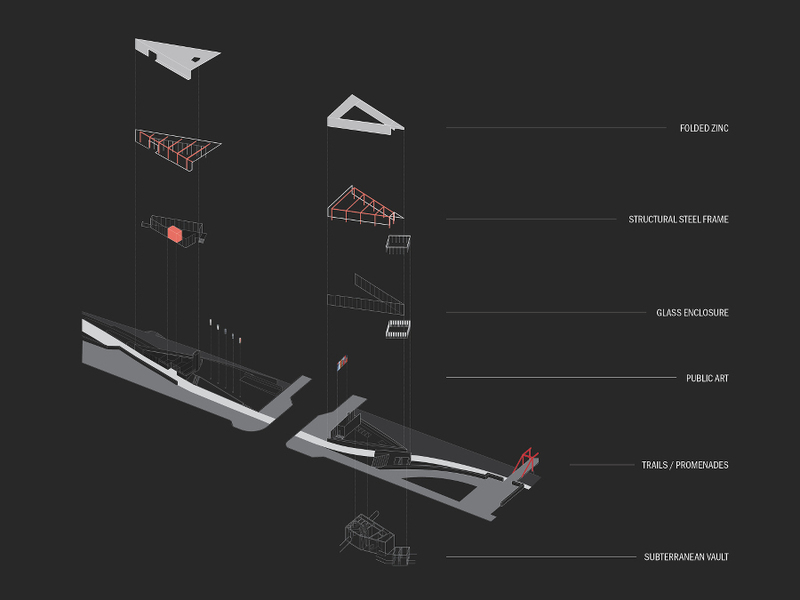 The pavilion’s form was shaped as much by practical circumstances as by a particular aesthetic vision. 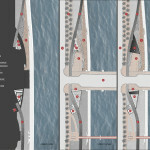 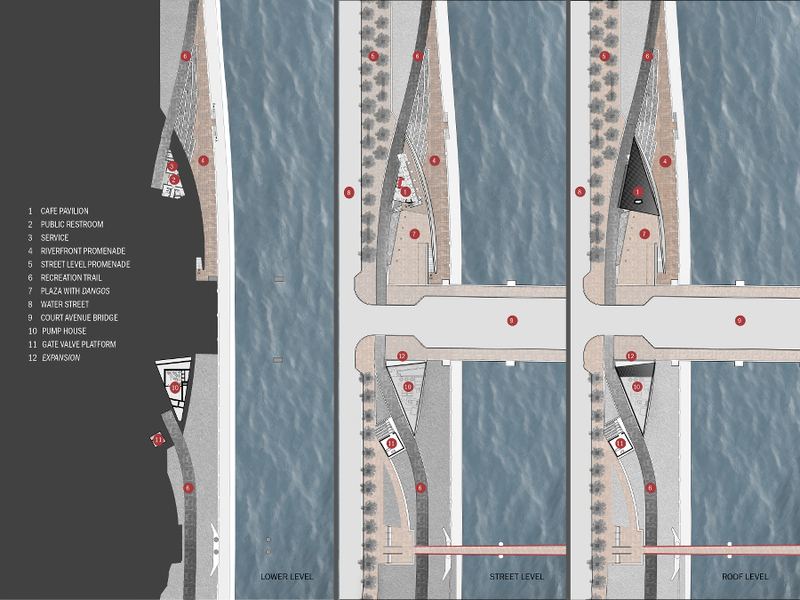 The Wallace Roberts and Todd (WRT) master plan for the Principal Riverwalk, a joint development of the City of Des Moines and the Principal Financial Group, determined the wedge shape of the site. 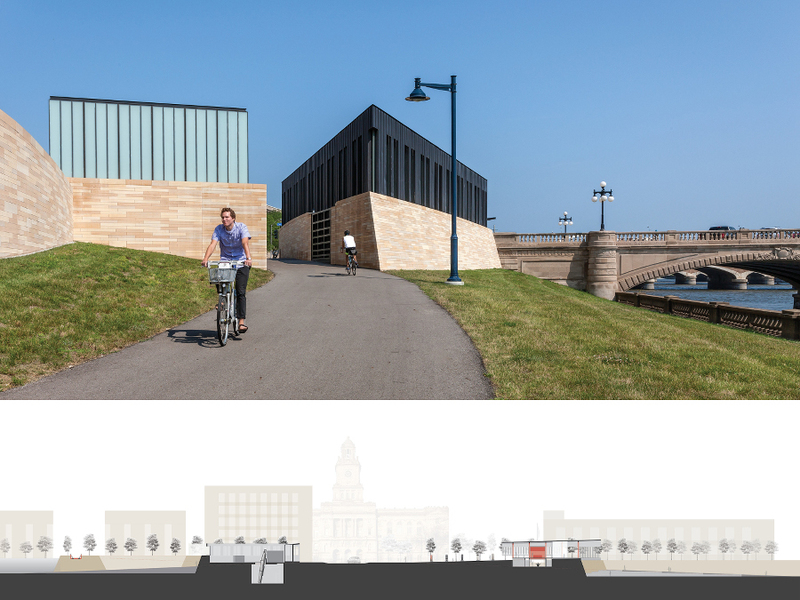 “We’re not a firm that typically does triangular buildings,” noted Mankins, “but the inner workings of the floodwall were already in place before we started.” The architects were further constrained by a tight budget. 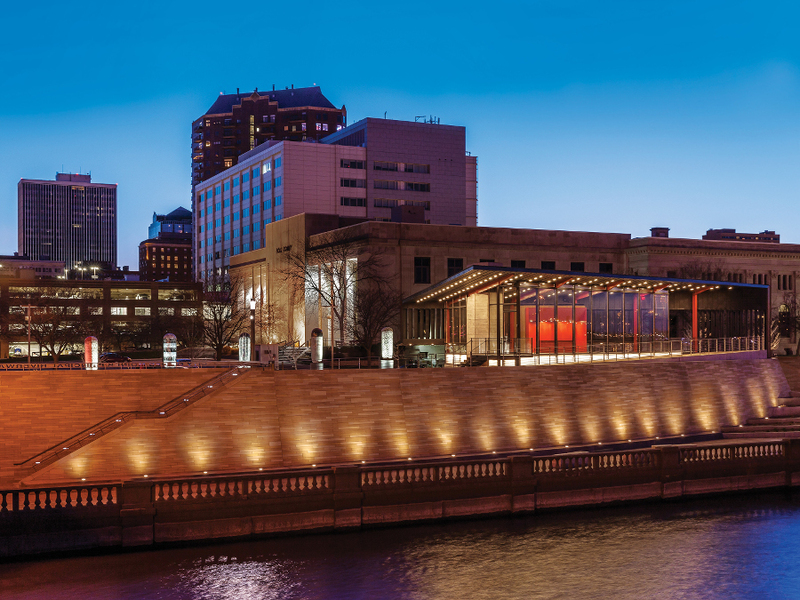 Rather than distribute the program across a single floor, said Mankins, “we were able to convince WRT to manipulate the plaza, tip it up to stack the program.” The move cut the pavilion’s footprint in half and allowed Substance to push the service functions down into the plaza itself, thus decreasing the cost of the envelope. 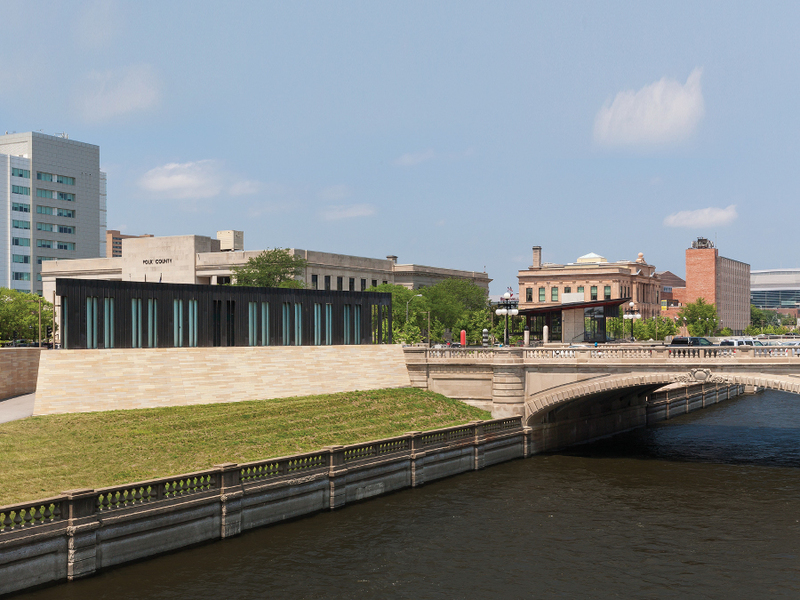 The second project, the pump house, entered the mix following the flood of 2008. 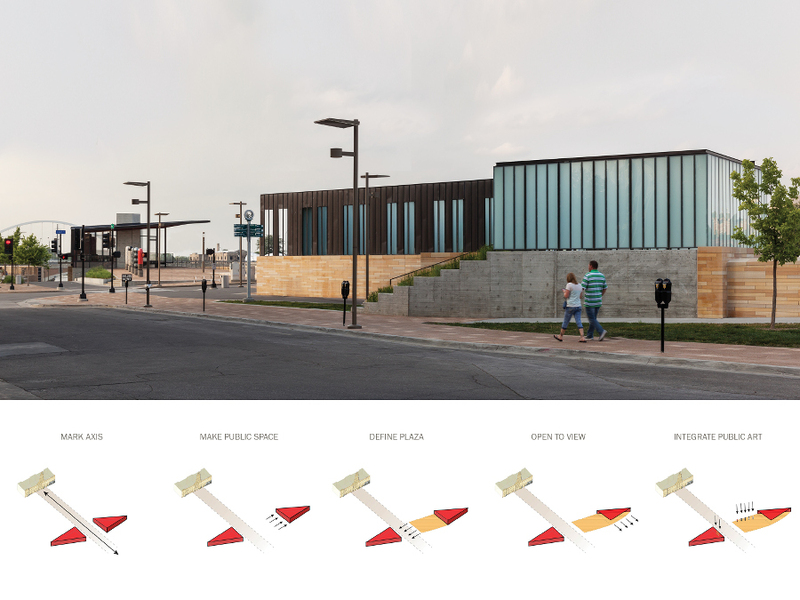 “We have a storm and sanitary sewer system that’s cutting-edge technology for 1750,” quipped Mankins. 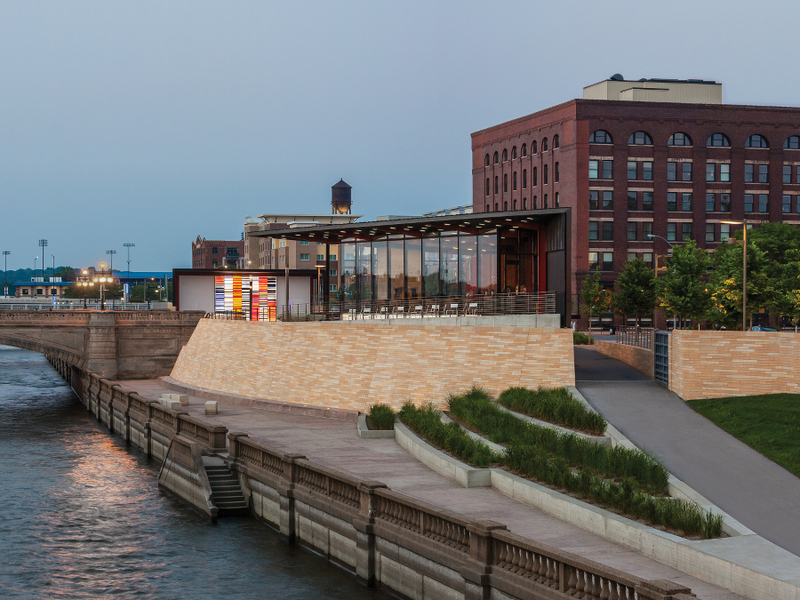 After two 500-year floods in less than two decades, the city decided it was high time to upgrade its flood management system. 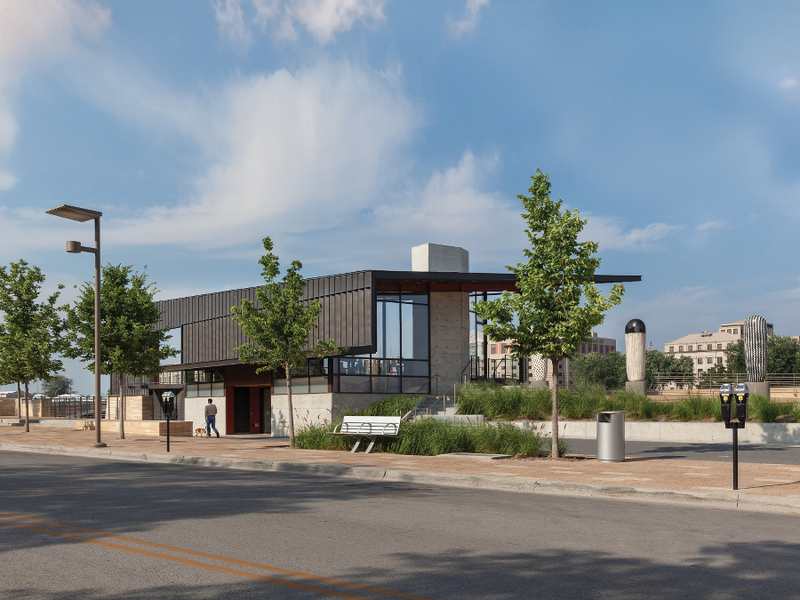 The pump station designed by Substance contains three pumps, one of which already existed. “There are other pump stations in Des Moines, typically just cinderblock walls around an emergency generator and several propeller pumps,” explained Mankins. 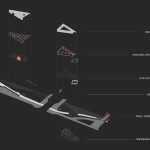 The architects took a different tack, echoing the neighboring pavilion with a two-part design. 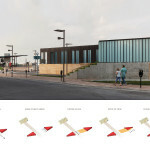 They encased the existing pump in translucent glass, then wrapped a triangular zinc wall around the two new pumps and associated components. 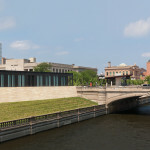 Below the pump station’s zinc walls, Substance used a type of Minnesota limestone deployed by WRT throughout the Principal Riverwalk development. 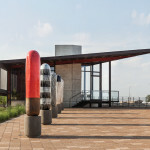 Substance had already worked with artist Jun Kaneko on several pieces for the pavilion. The firm returned to ask for a final artwork, a multicolored glass mural. 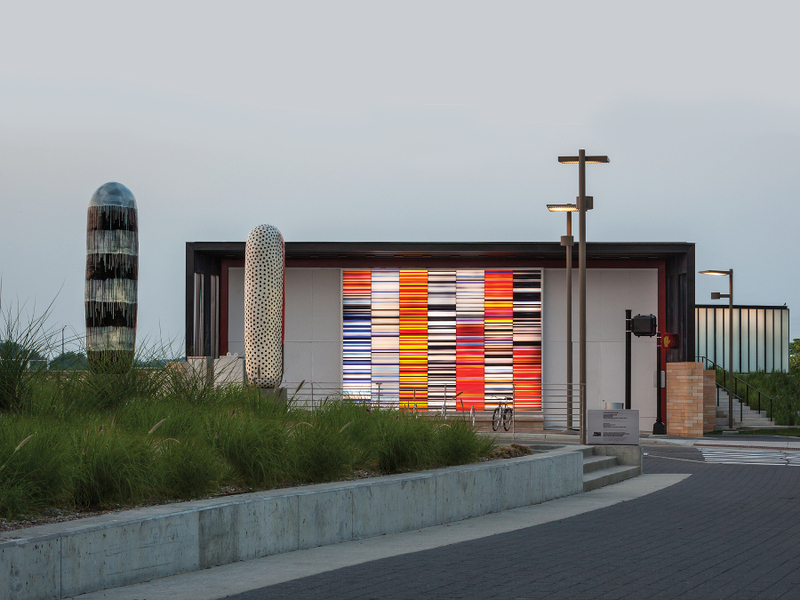 “When we were designing the pump station, we always wanted this glass mural,” said Mankins. 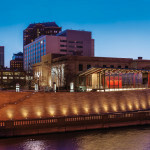 The designers collaborated with Kaneko and Germany’s Derix Glasstudios on the mural itself, then engaged C3 Lighting Solutions and Commonwealth Electric to design and install an LED system for internal illumination.